When it comes to mountain biking, the Forest of Dean has something for everyone. 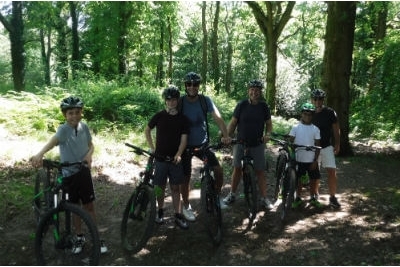 Enjoy a guided cycle trip along forest trails where there will be plenty of opportunity to stop off and savour the wonderful panoramic views of the River Wye. If that sounds too gentle, why not challenge yourself and take it up a notch or two. Experience some serious off-roading with tight, technical trails, drop offs and downhill sections all located in the beautiful Forest of Dean. Ready to get pedalling? Call us on 01600 891515 or email to book and find out more. Training and guiding from experienced professional outdoor instructors. Safety briefing and issue of helmet and mountain bike. 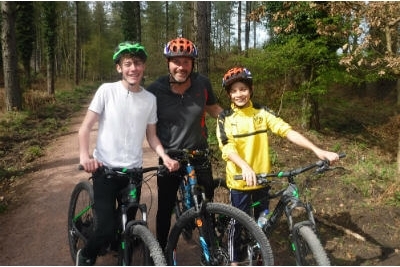 Introduction to basic mountain biking skills.